Hi friends! Today's card is for the Time Out challenge. 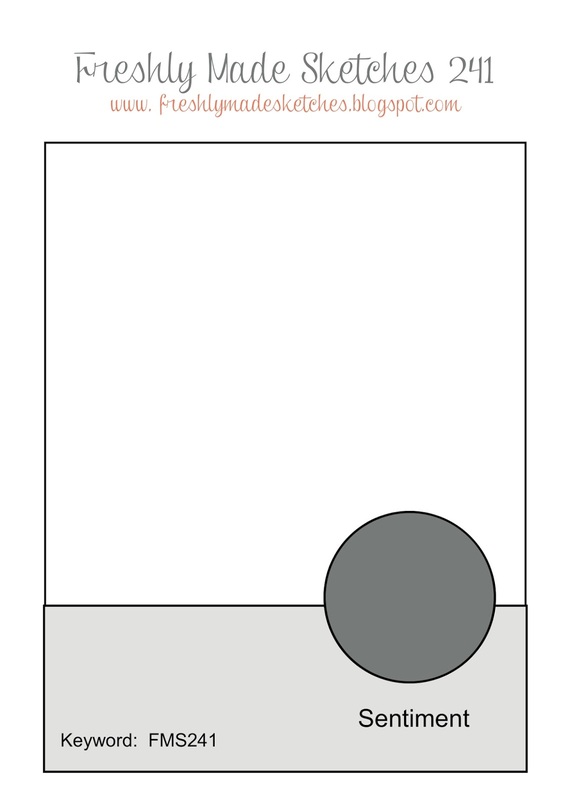 This week we are CASE-ing a designer's card. 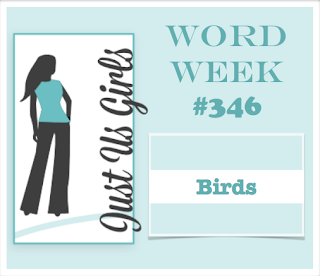 You can see more from the Time Out design team and our guest for this challenge, Birgit, on the Time Out blog. Hi everyone! I had a 1st birthday party to go to today and had to make a card. I don't have many "kids" stamps, but I did have this one from WPlus 9 that I don't think I've ever used. 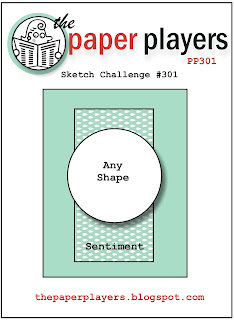 I saw the Paper Players sketch this morning and wanted to use it. I did tweak it a bit. I started with a piece of watercolor cardstock and masked off a rectangle in the center of it. Then I sponged broken china distress ink on it and spattered it with water. 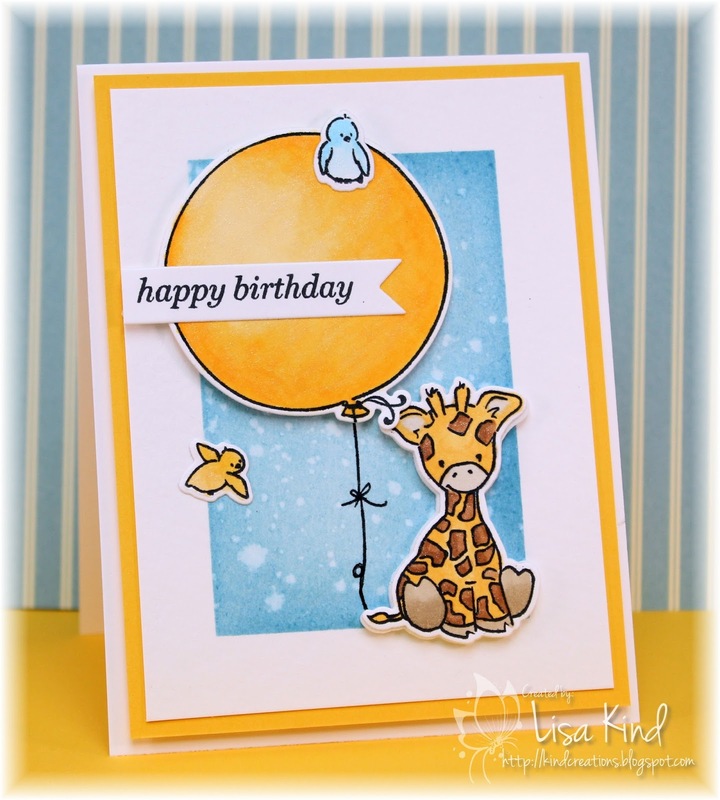 The giraffe, balloon, and birds were stamped and die cut from white cardstock and colored with copic markers. 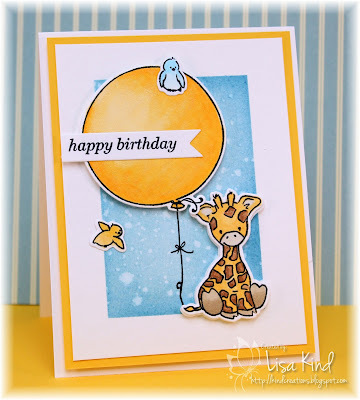 I mounted the giraffe and balloon on fun foam and added Spectrum Noir shimmer on them. This panel was mounted on yellow cardstock then on the white card base. 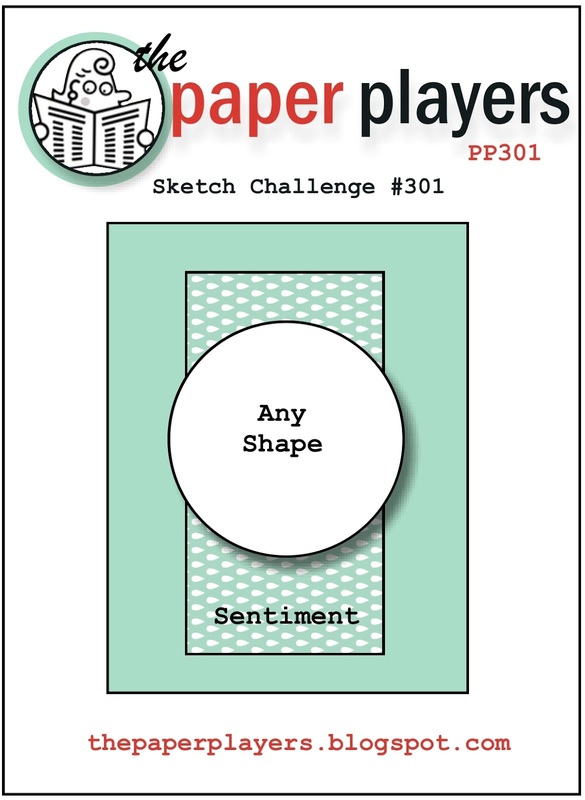 Here's the sketch from Paper Players this week. Hi friends! 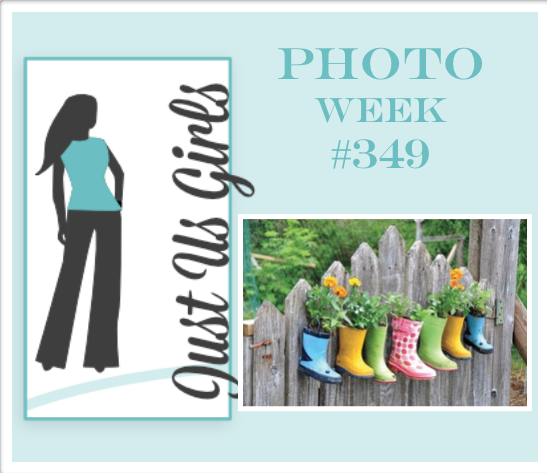 It's Photo Week at Just Us Girls and Chris has chosen this fun photo for us to be inspired by. Here's a close-up in case you need it. 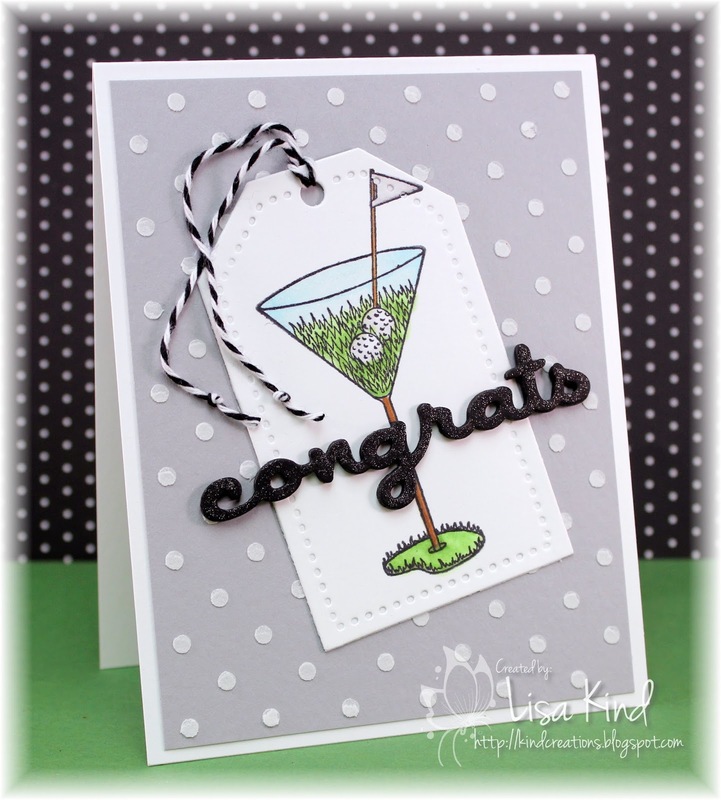 I was inspired by that polka dot boot in the middle and the graduated heights of the fence to make this simple card. 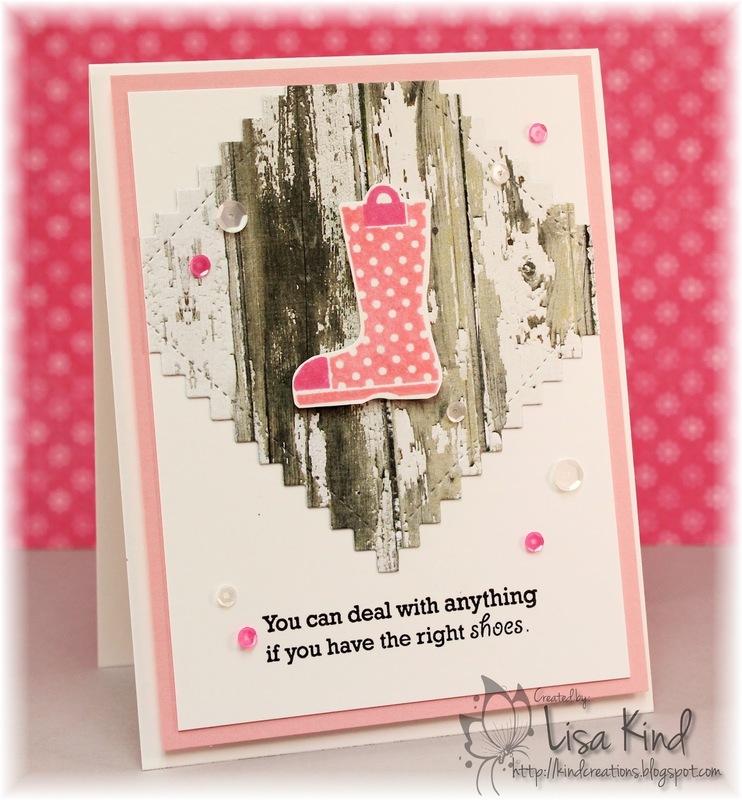 I used a pinked edge square die to die cut the wood-look paper. I stamped the boot and fussy cut it out (this was weird because I'm so used to coordinating dies...this one is an old set and doesn't have them!). I just added the sentiment, sequins, and some Wink of Stella on the boot. 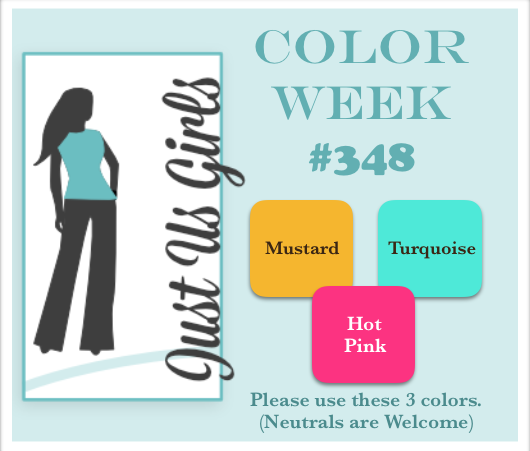 We are in the second week of our current challenge over at Time Out. The theme is masculine with an optional twist of mixed media. I used this week's Mojo Monday sketch. You can see more from the Time Out design team and our guest on the Time Out blog. Hi friends! 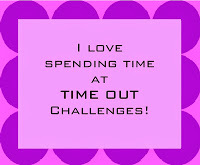 The new challenge over at Time Out is our Theme challenge with an optional twist. 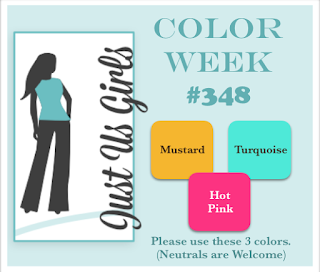 This time, the theme is masculine and the optional twist is to use mixed media. We are defining mixed media as stamps and ink plus two other elements that add texture and/or dimension. Here's a picture of Maria after her hole-in-one! We are sponsored by STAMPlorations for this challenge. They are giving a $10 gift voucher for the winner plus a random draw for those who twist (prize one ARTploration stencil). 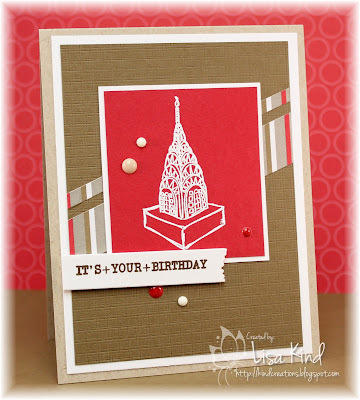 You can see more inspiration from our DT and guest, Patti, on the Time Out blog. Hi friends! 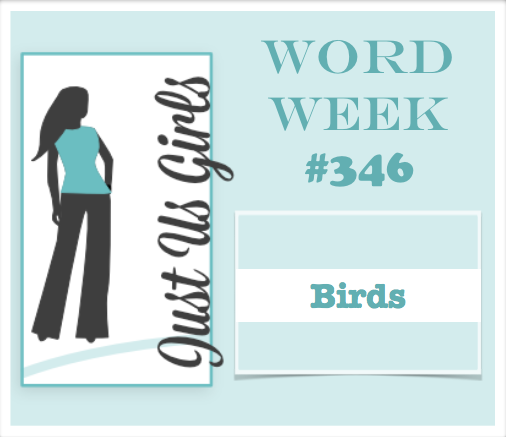 This is Word Week at Just Us Girls and "bird" is the word! Have you ever bought a stamp, never used it, then find the perfect time to use it? Today was the day for this stamp! I purchased it last summer at a stamp show because I love silhouette images. I watercolored the background with Peerless watercolors. The colors are much darker than they appear here. I couldn't capture the pretty colors. I splattered some water on it when it was dry then blotted it. 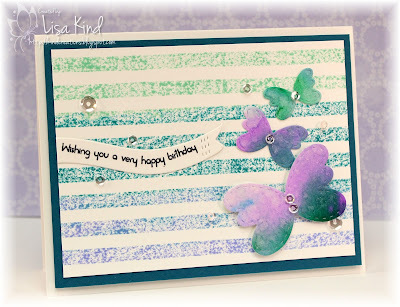 Using the mini MISTI, I stamped the image...several times! Thank goodness for the MISTI because it did not stamp well on this rough watercolor paper! I think I stamped it 5 or 6 times. I didn't want to over embellish this, so I just added some black enamel dots around the sentiment. 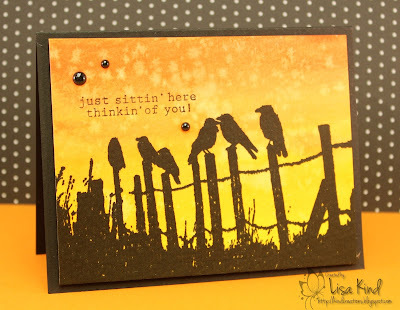 This card is already in the mail to a friend who is bravely battling cancer. She had a little scare this week, but everything turned out alright. I'm sending this to her to hopefully cheer her up and let her know we are thinking of her. 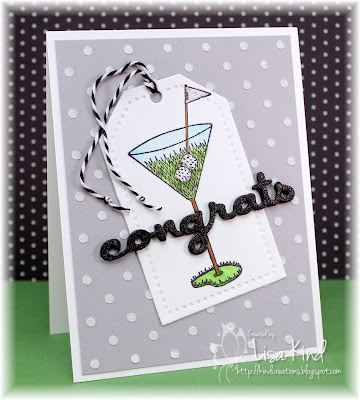 You can see more from our JUGs DT and our new guest for June, Cornelia Wenokor on the JUGs blog. Hi everyone! 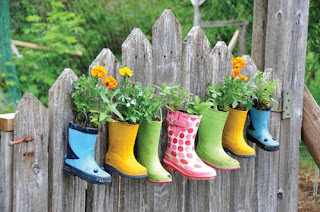 The new challenge over at Time Out is our Home Sweet Home challenge. 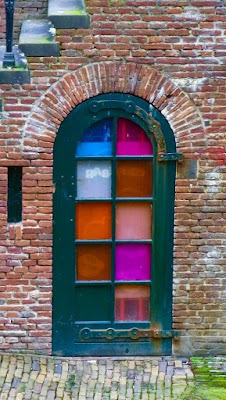 We give you a photo from a home and you use it as inspiration. I hope you can see what my inspiration was...that arch! I found a sketch (you can see it below) that I wanted to use and thought it would be perfect for this challenge. 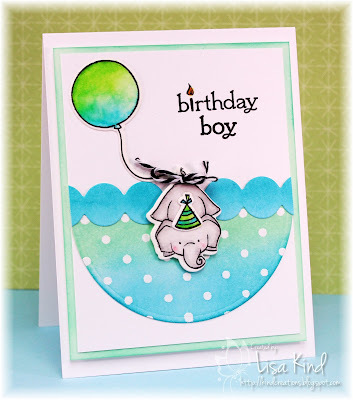 I have a first birthday to go to in a couple of weeks, so I thought I'd make a little birthday boy card. I've had this stamp set from WPlus9 for quite a while and have never used it yet. I die cut a circle and, using a stencil, smooshed Versamark ink though it. 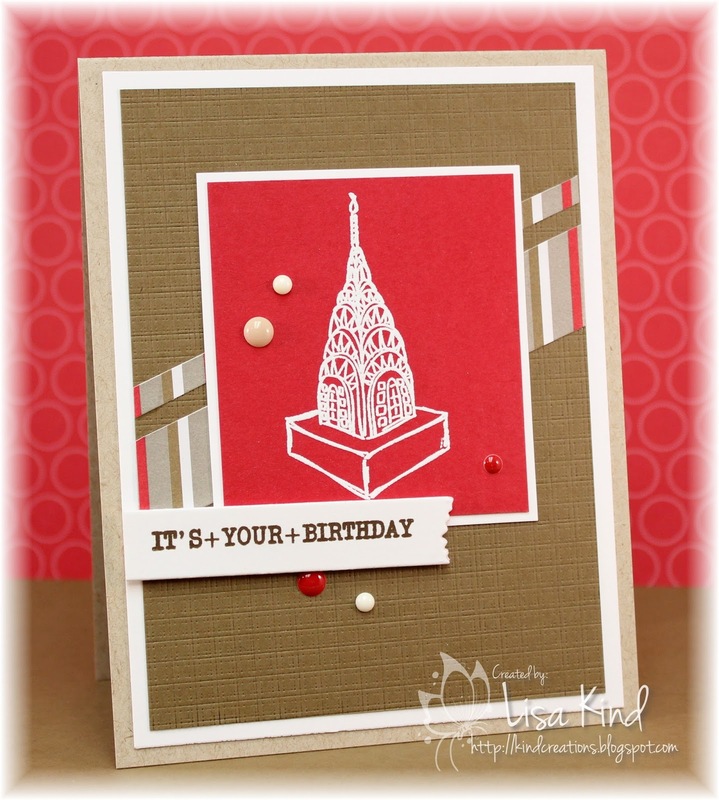 I then embossed the dots with white embossing powder. After that, I sponged two distress inks over the dots. That circle border was also sponged with distress ink to match the bottom piece. 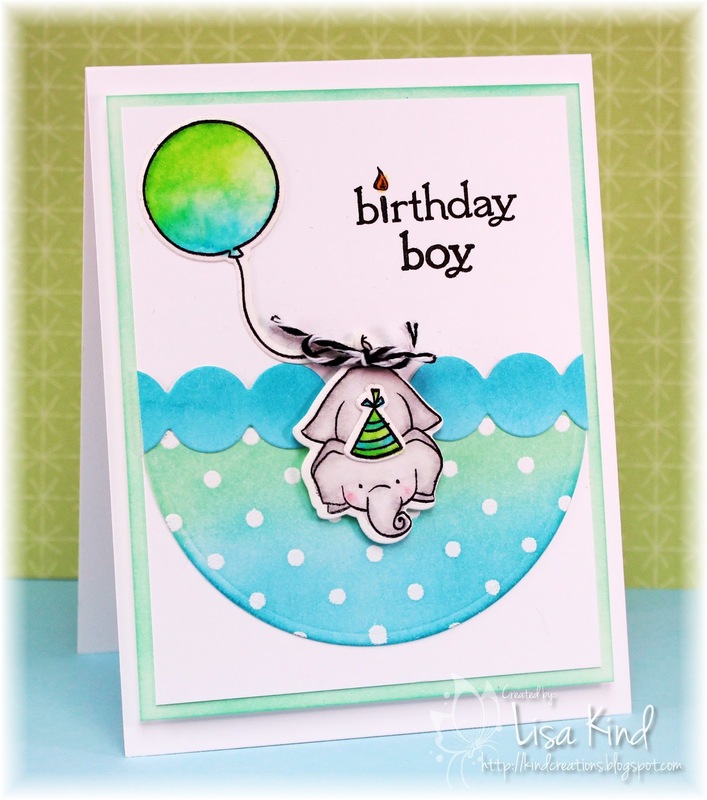 I used Zig markers on the elephant, balloon, and hat. 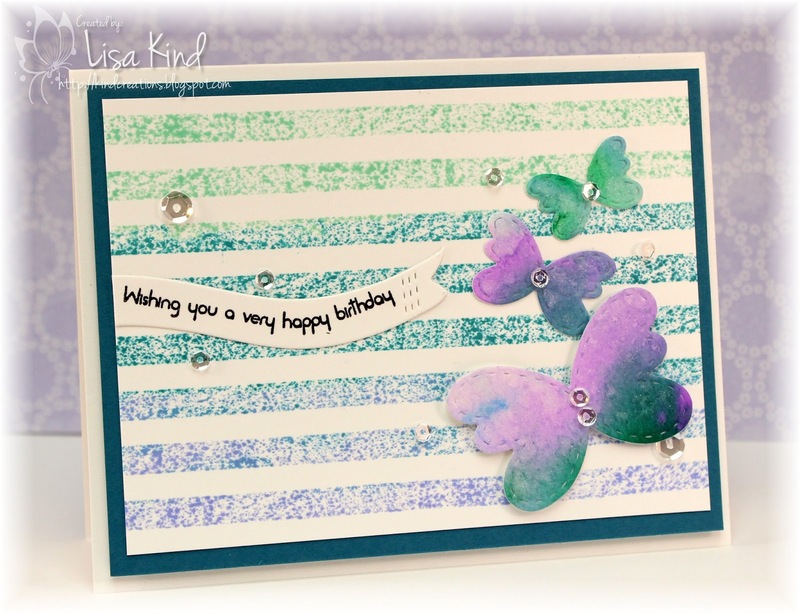 I couldn't find cardstock for a mat to match the distress ink colors, so I sponged the mat and added the main panel on top. That was all adhered to the base with fun foam for dimension. There's Wink of Stella on the balloon and the elephant's hat. This is the sketch from The Challenge that I followed. You can see more from the Time Out DT and our guest, Karren, on the Time Out blog.